Spring Racing Carnival is in full swing and Melbourne Cup is just around the corner, but every Melbournian knows that it’s just as much about people watching as it is watching those horses. Spring Racing fashion can end up being a bit of a gamble in itself if you’re not entirely sure on what to wear, but these simple style suggestions should see you taking a punt on the fashion sweepstakes with great confidence. Key trends this season will be futuristic fashion with sharp monochrome pieces or graphic prints and patterns, pinches of metallic statement pieces and detail in unexpected twists and turns. You may find yourself not just saving the black and white for Derby Day this year. There will also be a fusion of futuristic fashion with ladylike details such as higher necklines, pastel colours, shift dresses and girly accents like diamonds and pearls as well as flower crowns! Wayne by Wayne Cooper Harlequin Chain Detail Dress. Available here. Jayson Brunsdon Black Label Transparent Floral Body Con Dress. Available here. Seduce Diamond Girl Shift Dresss. Available here. 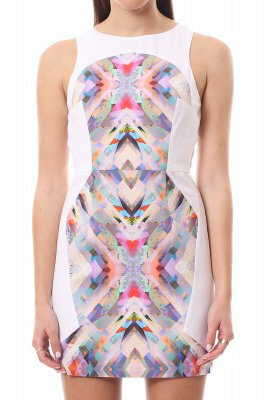 Seduce Hypnotize Dress. Available here. Put those statement necklaces and earrings away girls! Unless your head wear is extremely simple or understated, you don’t want to overdo it with large earrings or a necklace that would clash against your choice of headpiece. A splendid cocktail ring or a collection of dainty and elegant gold, rose gold or silver rings may be all the bling you need to complete your race-ready look. 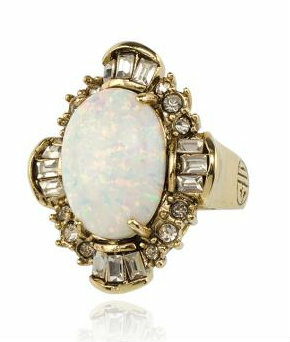 I love Samantha Willis’ Fine China cocktail ring collection which uses white opal as the centrepiece, set off with a vintage, art deco flair. Samantha Wills Fine China Art Ring. Available here. Its seems that this season you cannot get away from the two-strap stiletto heel, it is hard to find a single shoe store that has not started selling their own take on this popular style. With that in mind, do not forget you’ll most likely be sinking those thin little heels in grass all day, so my advice is to ditch the stiletto and go for a dressy pair of wedges (like the below metallic silver pair) or at least go for a thicker heel that will make it much harder for your tootsies to start sinking like they’re in quick sand! If you still have your heart set on wearing a pair of stilettos, take a look at Starlettos. Starlettos are rubber heel protectors you can slide onto the bottom of your stiletto heels to literally stop that ‘sinking’ feeling. Love Nikki by PeepToe Madrid. Available here. Jo Mercer Chance. Available here. Gorman After The Chase Heel. Available here. My money on the millinery for this racing season will follow on from the key trends, in that we will see the futuristic and modern fashion trend through strong shapes and monochrome colour in fascinators or alternatively, soft pastel colours, flower crowns and Gatsby-esque 1920’s style headpieces. My word of advice is, don’t go for over the top, crazy expensive choices in headpieces (exhibit a). Instead, go for unique or custom-made. Looking at previous fashion on the fields’ choices, it’s not hard to see that most of the time, less is more, or more modest and elegant pieces beat over the top, eccentric headdresses that just start to look costume like. If your choice of millinery starts becoming a sculpture in its own right, think about how heavy and annoying that thing if going to be perched on top of your head for one long day. Instead, I strongly recommend not just picking a fascinator ‘off the rack’ from any department store or accessories stop, but if you are creative enough, head down to your local craft store such as Spotlight or Lincraft and make your own! If you’re not too much of a creative or crafty type, check out local designers selling gorgeous one off pieces. You can find styles that certainly won’t cost a fortune and be guaranteed a truly unique piece you won’t see anyone else sporting on raceday! Local Melbourne designer Horus and Harper have a selection of dainty headpieces with an ethereal quality you can buy via their Facebook page, as with Brock and Eddie who stock a gorgeous selection of modern, colourful and truly chic fascinators. For beautiful flower crowns, head to Lady Petrova, or for an especially authentic flower crown, head to a florist like the lovely Jaclyn Roma who can pick out flowers and a design to perfectly match the rest of your outfit and create a flower crown especially for you! 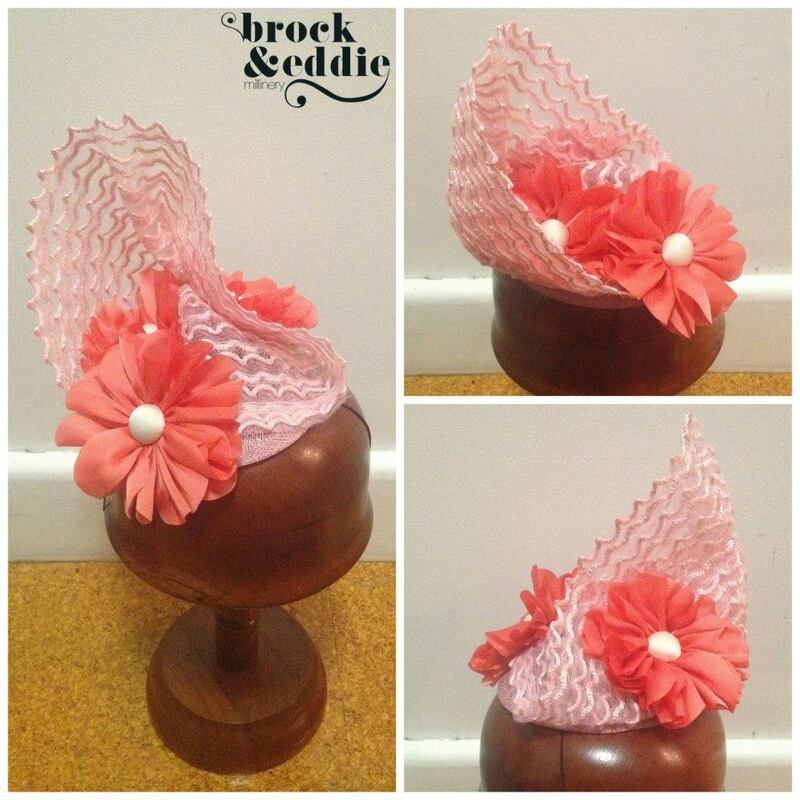 Brock & Eddie Millinery. Available here. 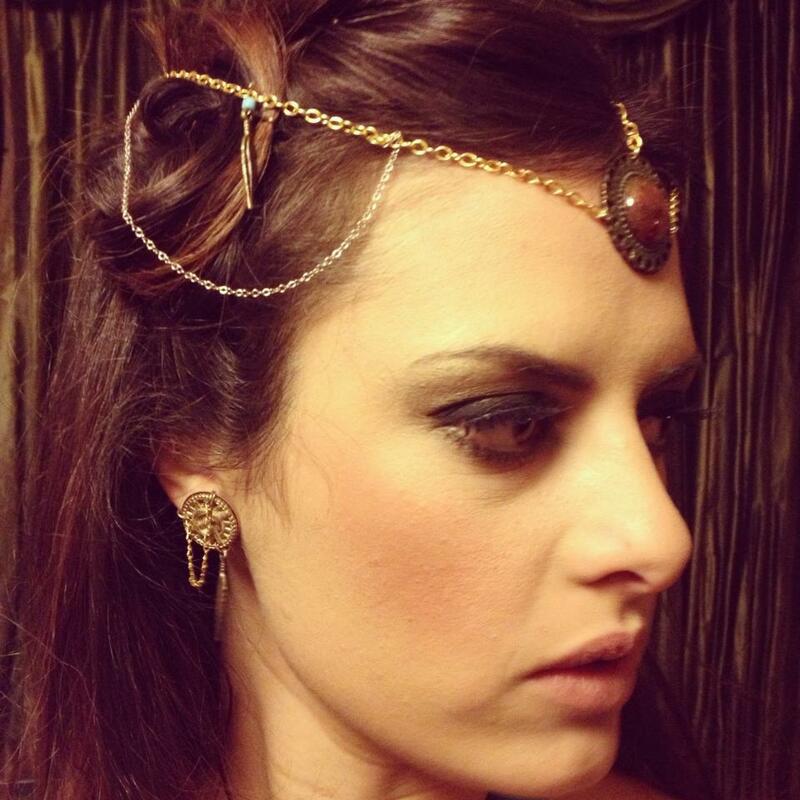 Horus and Harper Headpiece. Available here. 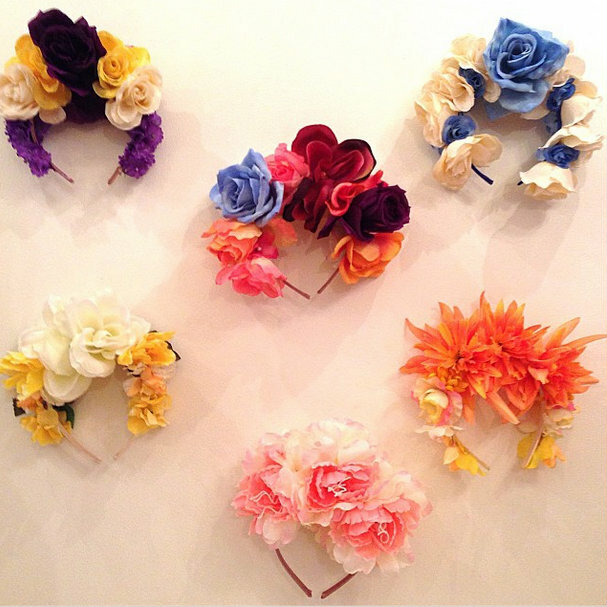 Lady Petrova Flower Crowns. Available in store or enquire online. The Spring Racing Carnival is a great excuse to try something new or be a bit experimental in your fashion choices, so have fun with it! Don’t forget to add a generous dose of SPF in your make up to ensure you don’t end the day with unsightly sunburn and whatever you decide to wear, make sure you’re comfortable! You don’t want to look back on your day with your only memories being of how annoying that heavy fascinator was or sinking pair of heels were. Above all, you not only want to look gorgeous, but feel gorgeous too! Hope you fond these simple style tips helpful when putting together your race-ready outfit, now giddy up and happy shopping!